Prior to my arrival, many spoke of Little India as dirty. Perhaps it’s the cleanliness of the rest of the city that makes Little India appear dirty in comparison, but I don’t find it unbearable. Or perhaps I am amused by other things to notice. 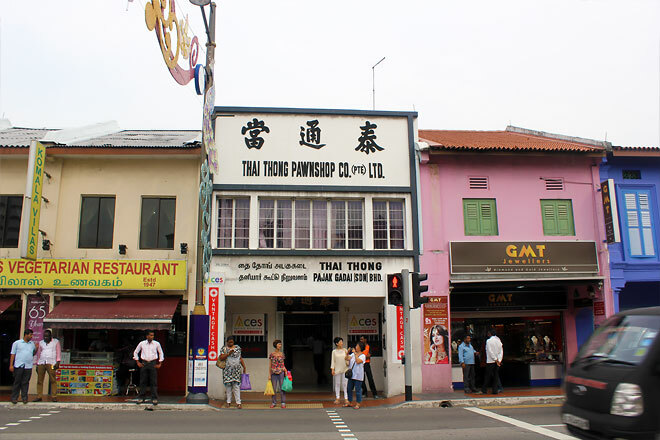 Either way, it is pleasant to wander the streets of Little India. So colourful! Some say henna, some say mehndi. I got mine done at a place with air conditioning. They have a menu of designs to choose from, as well as a “chocolate chocolate chip cookie” recipe. I like that Indians have “veg” and “non-veg” options at restaurants, like a respect for vegetarianism. I took this photo because of the pawn shop. I find it neat that they still exist. Wow, those buildings look like they are straight out of India. Cracked walls and all haha. And I call it mendhi. Really? It wasn’t dirty as I expected.